Releasing the “The Legend of Zelda: Ocarina of Time (LOZOOT)” Development Plan! ――Until now, we have been talking about the new game. Let’s talk about the past products from now on. 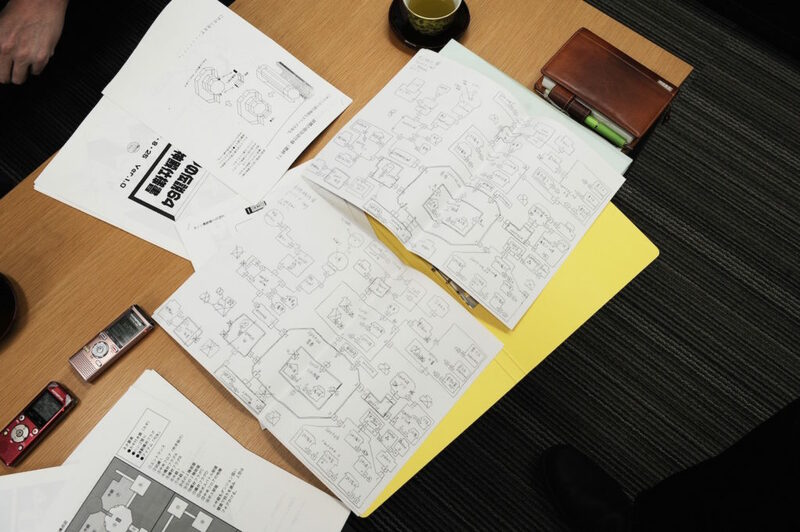 Actually, Mr. Aonuma had brought the development plan for an old “Zelda” for today’s interview. (As he places the documents on the table)This is really old. We also have the development plan for “The Water Temple” in “The Legend of Zelda: Ocarina of Time (LOZOOT)”. ――Wow, it is! It’s for “The Water Temple”！ This is as valuable as a national treasure. Who knows? It might become a real national treasure after 1,000 years. (laughs) This was made in 1997, so exactly 20 years old. I was 34 years old. Back then, I just was happy making this kind of blueprint…. Thirty something is a good age to be devoted to a creation. 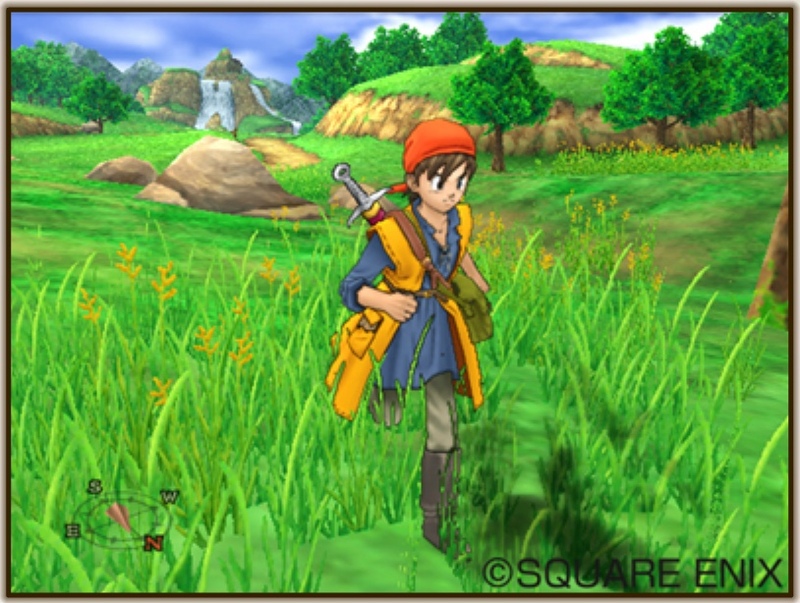 I was 34 when I was developing “DQ8”. It’s not that great…. (bitter smile). But take a look at this. There are footnotes on the plan like, “the tip of the tentacles,” “Make this room is all fluffy.” It’s totally brainstorming! I haven’t seen a hand-written specification for a long time. We wrote down everything for the scenario for “DQ 7”. Because Mr. Horii likes writing things down by hand. ――It’s kind of a surprise to hear that because Mr. Horii was one of the early adopters of computers. I would like to ask him the reason if I have a chance. Well, I’m a hand writer myself. But at the same time, I have really bad hand-writing. (laughs)Further, it is hard to make copies of the hand writing. Now, you can scan the document itself and just share the copy. Apart from that question, I wrote down everything for the tower(*footnote：”Rydon’s Tower”) [about] using a seesaw in the dungeon for “DQ8”, just like this one. Well, I feel happy about it. Were there any sound effects? “With the feel of “Ugh~, Link, help me! 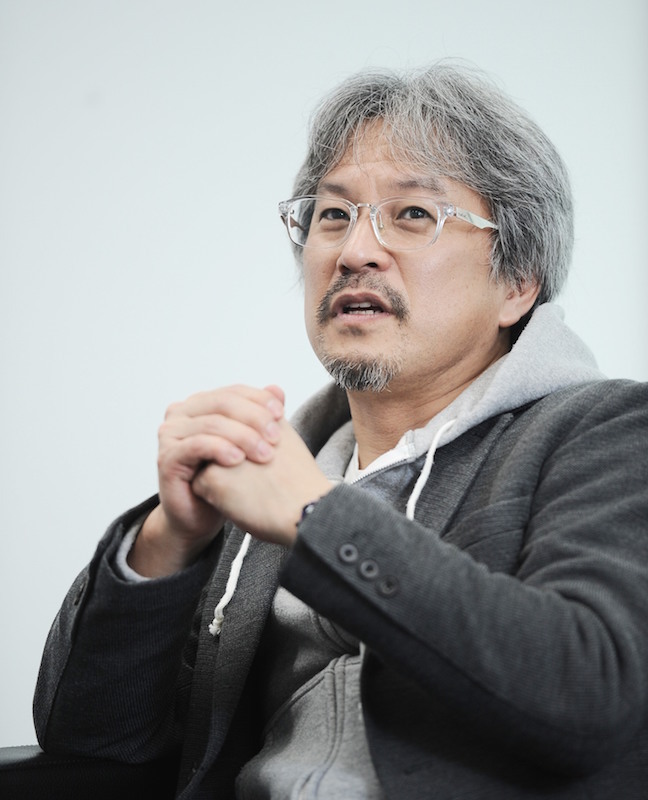 ”…(laughs)”(Mr. Aonuma),”I know what you mean. The feeling that can’t be explained with a comment of “Put this dialogue for it.””(Mr. Fujisawa). 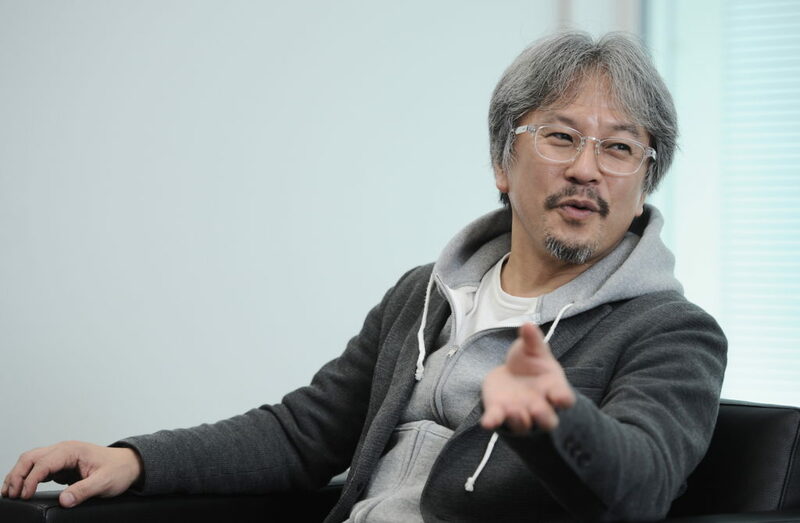 Mr. Aonuma’s development plan has many comments that remind us of those scenes. There are many scenes with sound effects that make you picture the image in your head. ――Since we already started talking about it, can I ask you some questions about the LOZ after Mr. Aonuma joined the project? 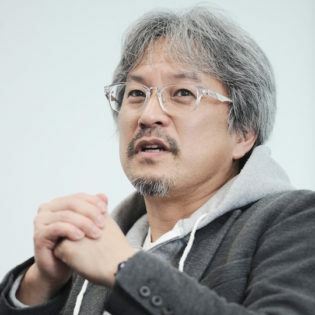 So how did Mr. Aonuma come to join the production of “The Legend of Zelda: Ocarina of Time (LOZOOT)”? Well, that’s actually a really interesting story. I joined the project some time after it had started. I was invited to join because there was nobody who could “design the dungeon.” I was like, “what do you [mean] there [isn’t] anybody who can design…?” You know what I mean, right? Let’s go back to the main subject. So I joined the project to make dungeons. At that time, I just made whatever I came to think of. It was a kind of time that once you are in charge of things, then you have to come up with a result. There was nobody else but me who could make dungeons, so everything was up to me. So I’ve got to “surprise” people as much as I wanted. As I was making dungeons, I got involved in other systems, as well. And later, I became a kind of system director. 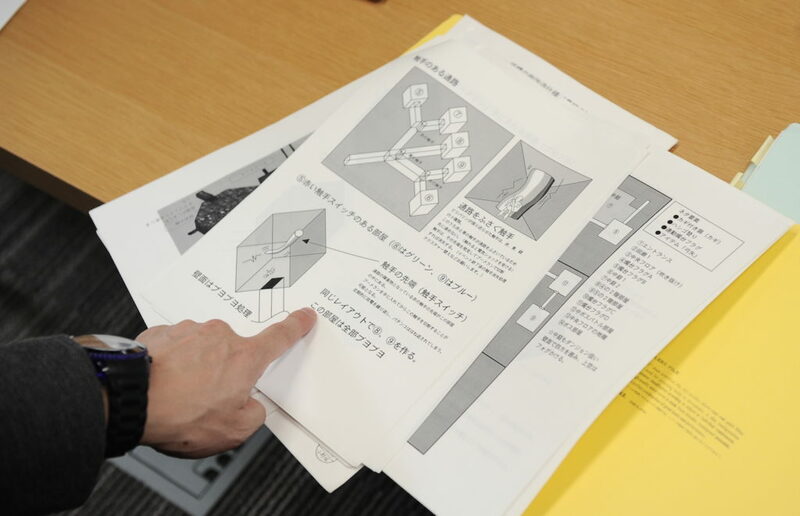 ――But, those kinds of puzzles using 3D space, it only become possible after the technology for manipulating 3DCG in the screen was developed. If you think about that, the puzzles in the Legend of Zelda: Ocarina of Time (LOZOOT) were never heard of before. Yes. At that time, it was fun to do things that never existed. But, while playing the previous “LOZ,” I tried to put in elements to solve the questions that I had for those games. For example, it is a terrible rule to restart from the entrance if the player fell inside the a dungeon. So, I made it clear for the player to see the entrance of the room where the boss is as he walks into the dungeon. You can say I put baits. The player cannot get in right away, but he has to go around and try to climb up the wall before he finally gets into the dungeon. So when he makes that far, he is allowed to come back to the entrance, even though the game is over while he is playing. But the products after that were imitations of the dungeons in “LOZOOT” but I didn’t feel like I had to change things. There were still many interesting ways to play the game, so I thought that was enough. But this time, I was trying to change things based on the idea that it was not okay to just go on with the old style. I think I can relate to you, Mr. Aonuma. For me, it was from “DQ7” that I got involved with dungeons in earnest. At that time, I was thinking about a dungeon where the player can solve the 3D puzzle by using an object like a spinning Rubik’s Cube in the air. ――The puzzle in “7” was really impressive! That puzzle that comes down quietly through the hole at the end. It was fun, like a puzzle ring. And in “8”, finally, you used full 3D and a map. Actually, at that time, we were hugely affected by “The Legend of Zelda: Ocarina of Time (LOZOOT)” and “The Legend of Zelda: Majora’s Mask (LOZMM)”. Yes, we were shocked to see a gimmick like “shot an arrow over the fire and set a fire on the other side” in “The Legend of Zelda: Ocarina of Time (LOZOOT)”. We were like, “Wow, this is what a 3D game means!” I think there are many people who started to make 3D games affected by that gimmick all over the world. ――At that time, I think the game manufacturers had many concerns regarding what to do with the newly introduced 3D game platform. In that situation, the developers in the world who had witnessed the camera work of “Mario64” or the application of 3D gimmicks in “The Legend of Zelda: Ocarina of Time (LOZOOT)” were finally relieved to know what it meant to make a 3D game. That is why I came up with a dungeon that has gimmicks. The result was “Rydon’s Tower” in “8” that we just mentioned. So we made the internal structure wide open from top to bottom and a big seesaw in the middle, which is kind of mystery. When I was making it, I designed it so the players had to do a precise calculation, but Mr. Horii adjusted it to be easily cleared after he saw what I was doing. “DQ” had adopted puzzles in dungeons from the 2D era. As we entered the 3D era and saw games like “LOZ,” we felt like we had to evolve the puzzles like he did. Then, we started to question whether it was the right direction to go…. So eventually, after going through many considerations, we started to decrease the puzzle elements, taking “9” as the breaking point. ――I remember that “DQ” was the series with the most puzzles in dungeons from “7” to “8”. 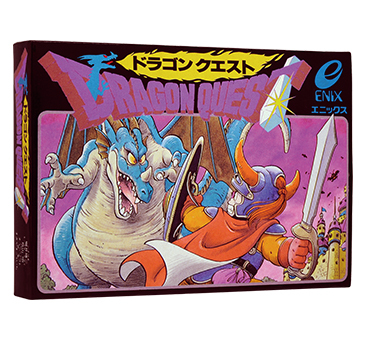 The reason that “DQ” had many puzzles was because it was a random encounter game to begin with. Also, there were limits on the capacity; it was a time when we could not properly show the internal visual of the game. And the puzzles were adapted as onestrategy. However, as the capacity gets bigger and the symbol was introduced to start a battle by encountering a monster in the field, the puzzle gimmick in “DQ” had completed its role. 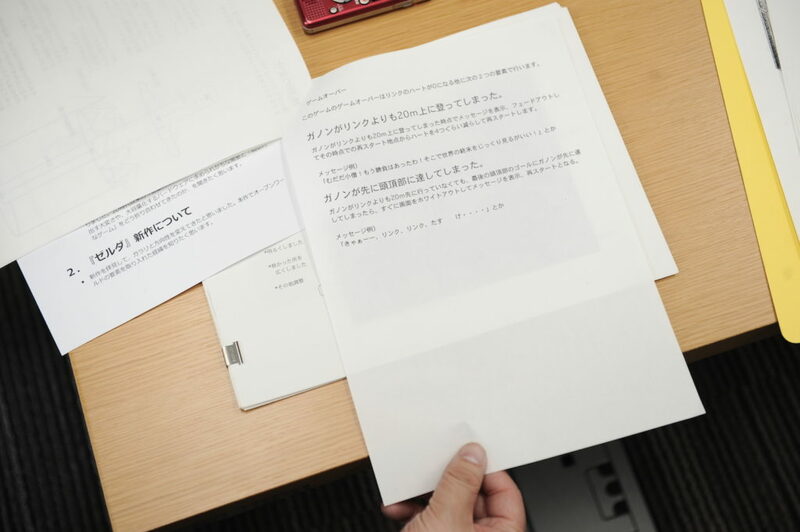 ――In other words, Mr. Fujisawa started to accept and follow Mr. Horii’s decision as well. I got it. As we were challenging many different things, we were worried that we were getting behind. But it was fun to try. There were many trials and errors and new changes were made as a result. Maybe that is the reason that I’m still making series after series for such a long time. 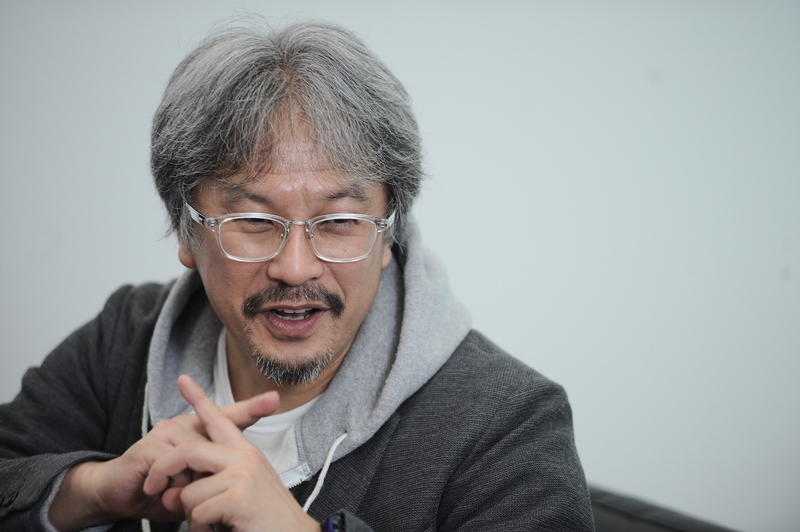 ――I would like to ask questions about what Mr. Aonuma thinks. What was the most impressive game that you have seen? The very first game that I’ve ever tried is the first version of “DQ”. I fell in love with it. ――Wow！ You should have told us earlier. (laughs) But it means you were a grown-up when you played it for the first time. Actually, I never played a game when I was young. When I landed a job in Nintendo, I asked my girlfriend at that time, “What is a TV game?” And she lent me DQ1. Of course, I knew Nintendo was making games, but I’d never played it. It’s a digression, but the next game that I borrowed from her was the “The Portopia Serial Murder Case”[*]. It was even a PC version (laughs). An adventure game released as a PC-8801 version by Enix(Now Square Enix)in 1983. Yuji Horii was in charge of programming, scenario, graphics and everything else. 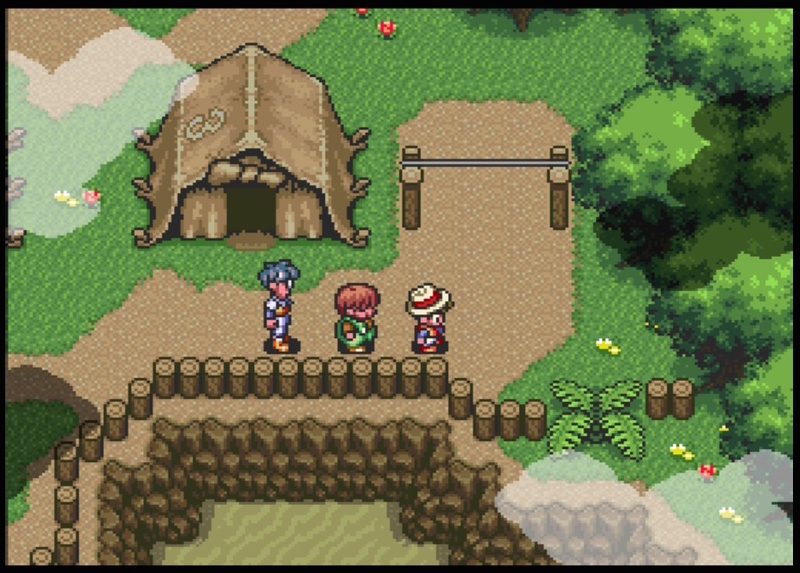 The characteristic of this game is that it was based on a real region with a fictional story that was focused on the human drama. I can’t believe she actually lent you the PC version of “The Portopia Serial Murder Case”.(laughs). ――Very unexpected place to [gain the] influence Mr. Horii’s product…..(laughs). I guess Mr. Aonuma’s girlfriend at that time was very advanced. Just out of curiosity, I want to ask you why you decided to join Nintendo when you don’t play games. One of the alumni who went to Tokyo University of the Arts was Yoichi Kotabe[*], who did the key animation for “Heidi, Girl of the Alps.” He was working at Nintendo doing key animation for “Mario”. I might add, Mr. Kotabe did key animation for “Pokémon” as well. When I was looking for a job, I met some people at the game company from the exhibition held at a gallery. So I became interested in the game companies afterwards. When I went to the job center at the university, they gave me the business card of Mr. Kotabe. Joined Toei Doga (now Toei Animation) after graduating from the Tokyo University of the Arts. Worked at various animation studios, along with Hayao Miyazaki, Isao Takahata. After joining Nintendo, he created the main characters Nintendo is known for, starting with “Super Mario” and reviewed the illustration as well. He was in charge of the artwork for “The Legend of Zelda: A Link to the Past (LOZLttp)” and illustration for “The Legend of Zelda: Link’s Awakening (LOZLA)”. He is now retired. So, one of the interviewers who interviewed me on the recommendation of Mr. Kotabe was Mr. Shigeru Miyamoto. 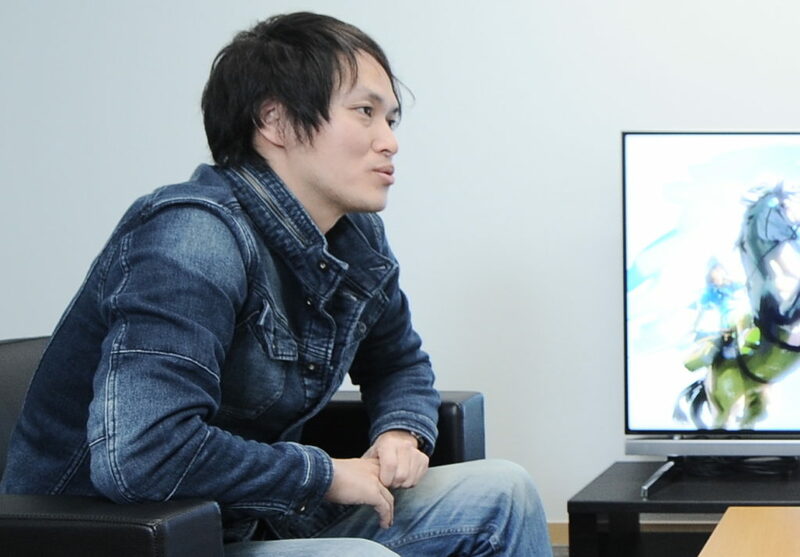 At the time of the interview, I showed him the artwork that I did during university, and Mr. Miyamoto liked them. That’s how I joined Nintendo in 1998. And then she gave me “DQ” and this time she made sure I played it right. I stayed up all night to play it and she kept by my side the whole time, coaching me like, “You need to go south five steps” and “Now go to the east four steps”. Surely, there are many puzzle solving elements in initial “DQ”. I was in charge of game graphics after joining Nintendo. Being the newest member of the group was not easy. (laughs)Also, there were many games that didn’t make it to production. But I gradually learned how much fun it was to play games. Especially at that time, the most popular game console was the Nintendo Entertainment System (NES), and it was so interesting to play games having constant stimulation on your imagination. ――I think you spoke for the game players of that time. You feel like you were playing a small map in “DQ”, but at the same time, you are taking off for the big adventure in your imaginary world. But after the 1990’s, the Super NES came out and the expressiveness was superior with 3D. With those new things, now it actually became possible to realize things on the screen, rather than appealing to your ability to imagine by using various expressions. When it is possible, the player starts to feel that he wants to try things on his own. 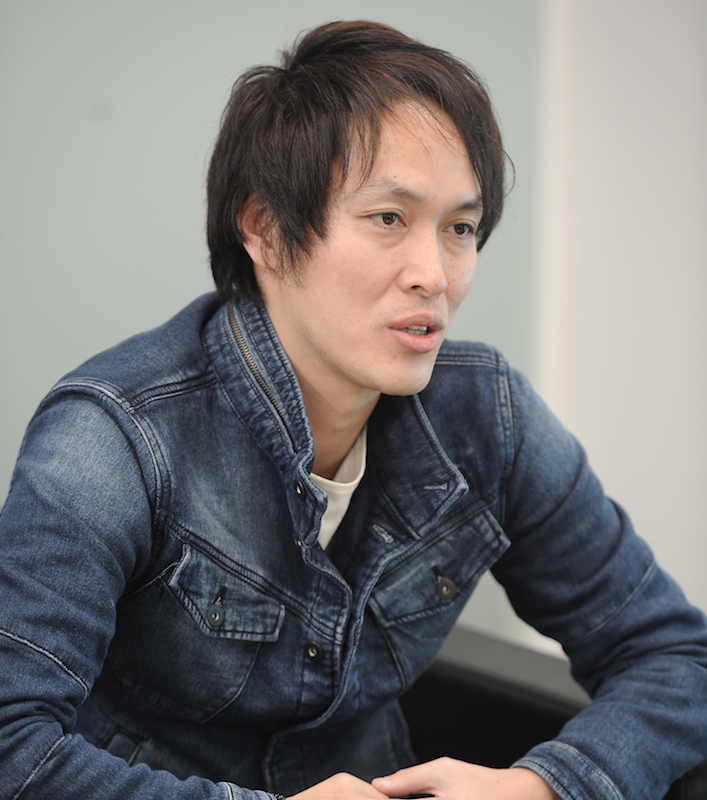 ――As the graphics of the game improved, you wanted to make things better as an artist. Is that why you joined the team for “The Legend of Zelda: Ocarina of Time (LOZOOT)”? At that time, I heard that Mr. Miyamoto had played the Super NES game that I had made, called “Marvelous: Mohitotsu no Takarajima” and said that I should come and join his team if I wanted to make a game like that. At that time, only the people who could produce good results were called and the position was usually a director. So I had a strong sense of responsibility for the work that was assigned to me. I think I can picture it in my head. But the dungeons in “Ocarina” had such a high degree of completion, so I can’t believe you went through those kinds of problems. Ha, ha, ha. (bitter smile)Actually, until the very end, I didn’t know why I was recruited. What made them think I could be the dungeon designer? ――There is something that I want to ask you. What do you think was the key factor of your art that fascinated Mr. Miyamoto? Well, I used to make Karakuri puppets (traditional Japanese mechanized puppets) in my college years. Mr. Miyamoto loves puppet shows so much. He used to run a theater of dolls. I think that is why he liked my work. When you say Karakuri puppets, you mean a wind-up doll that brings tea? Yes, the puppets that I made played instruments though. Of course, it doesn’t actually play the instrument. It has a mechanism of motors and cranks. It has same moves as a when a man plays an instrument like the bongos. ――In other words, you professionally made three dimensional modeling? Yes. My grandfather was a carpenter and so was my uncle. There was a carpenter’s shop nearby my home, so I grew up watching them making things. So when there was drafting or craft homework, I used to pick up a piece of work and put nails on it to make something. Also, I guess it has something to do with the fact that my parents didn’t buy any toys for me. (laughs). ――I guess your specialty was drawing and manual arts as a boy. So I went to the Tokyo University of the Arts, then I realized that I was not as talented as I had thought. I’m not brilliant at color sensation and I’m not really good at drawing either…So everybody said I had no talent. (laughs) But then, I realized that I still have something, which is the wood crafting. I knew even though I’m not talented at other things, I knew that I was talented at cutting wood and knew how to make beautiful lines on the wood, even when I was a boy. So I tried to make Karakuri puppets and I received good reviews. So somehow, I majored in that until graduate school. Well, the exhibition in which I met people from game companies was through my exhibition for Karakuri puppets. As a puppet lover, I can’t help but stop and stare when I see a Karakuri puppet that moves with an internal mechanism like Automata. ――Well, I think what you just said actually explains the outstanding quality of the three dimensional puzzles in “The Legend of Zelda: Ocarina of Time (LOZOOT)” that we just mentioned, which came out in 1998. 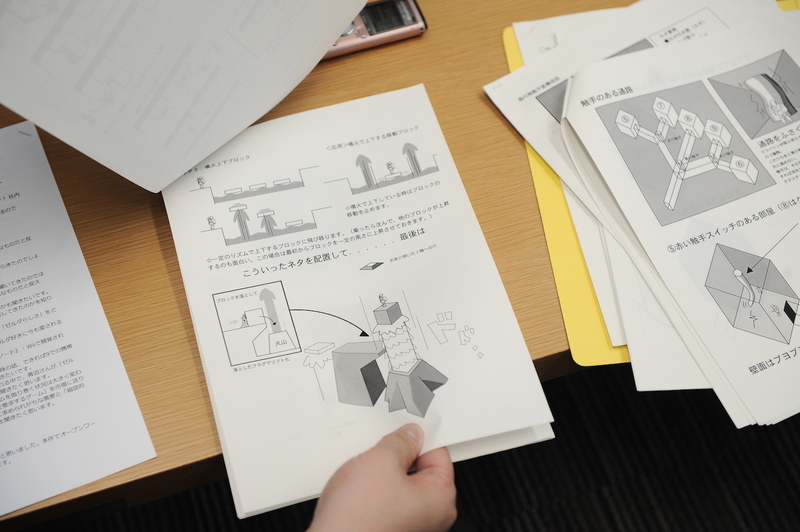 ――There were 2D dynamic puzzles at that time, but people didn’t really expect to see a dynamic 3D puzzle like that. The whole world was shocked to see that in “Ocarina”. But I guess the story behind it is that there was a guy who made puppets throughout his college years, as well as in graduate school and became the dungeon director by accident. It’s only my opinion, but to make a human-like move only with a saw-toothed wheel and crank, you would need many elements similar to solving a puzzle. What do you think? Of course. There are many. If you look at the sensible parts, they’re really similar to each other. 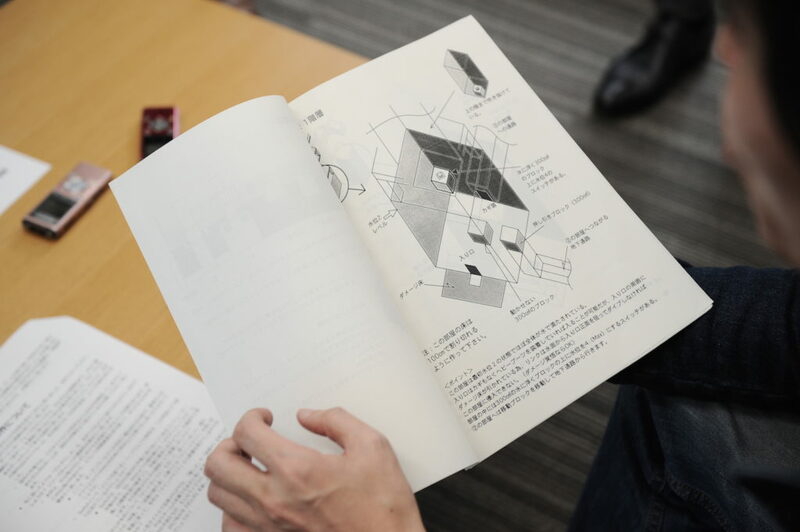 The way of thinking that is necessary for three-dimensional puzzles or making-up puzzles is similar to the way of thinking that is necessary for “making crank features to move.” Above all things, I personally love those kinds of “Pythagoras Switch” parts. Of course, it was such an advantage that the manufacturing environment at that time was so free and I was able to do everything I wanted to try. So for this “LOZ,” I made a team with people who would love to try those kinds of things. Otherwise, it’s impossible to make that kind of things unless you really love it. Born in Nagano Prefecture in 1963. Joined Nintendo in 1988. Participated as one of the directors at “The Legend of Zelda: Ocarina of Time” and served as the main director at the next film “The Legend of Zelda: Majora’s Mask” . 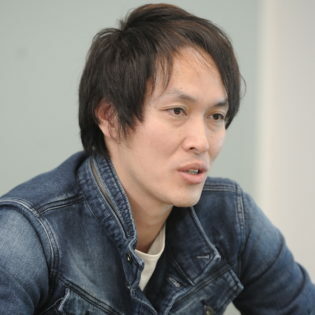 After that, he became involved as a producer for the development of the “Zelda” series. In 2017, a long-awaited new game “The Legend of Zelda: Breathe of the Wild” was released. Born in Kanagawa Prefecture in 1970. Square Enix’s game producer, game director. Since 1998 he participated in scenario production of “Dragon Quest” series as assistant of Mr. Yuji Horii. He worked as a director at “DQ IX”, and was involved in a series up to “DQ X” as the main developer of the series. 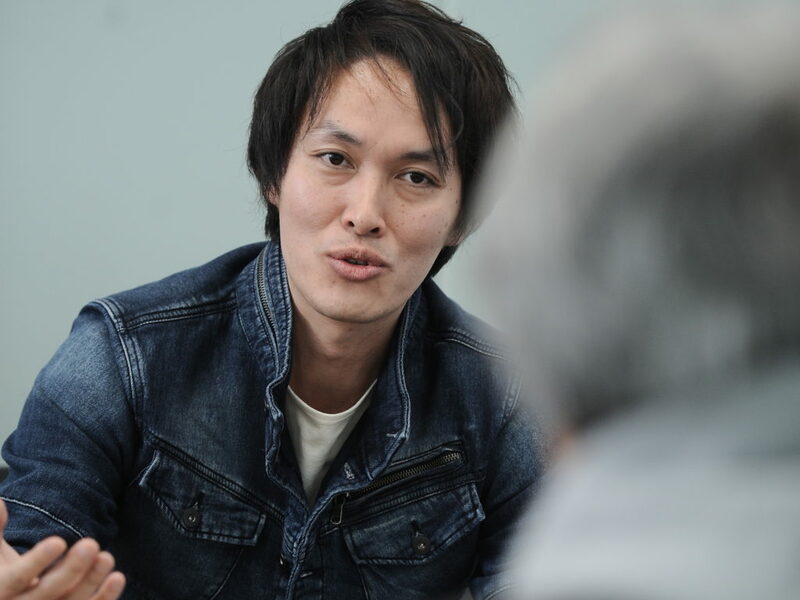 Currently he is away from DQ, working on the scenario draft of the smartphone game “Mugen Knights” and the smartphone game “Fortune Tellers Academy” which started in February 2016.